I just enjoyed this anime so much more than I anticipated. I was searching through the anime archives to find any anime to watch, and I've recently stumbled across Kobato. And what a joy it's been to watch this twenty-four long anime; no major drama to court your attention, plus no unnecessary antics to maintain your interests. Kobato was just a honest, and captivating anime about a girl with a heart of gold and lots of integrity. The structure of the Kobato is somewhat episodic in the beginning but the anime gains a considerable amount of momentum as the episodes unfold and storylines strengthen. It's a story about a girl who've been granted a wish but under the condition that she fills a jar to the top with "confetti" by helping other mend their broken hearts. Under the supervision of the hot-tempered Ioryogi-san, Kobato gives a helping hand to those of need in hopes to gain confetti to fill up her jar. The concept of the plot is unique but how the whole story plays out is pretty much another run-of-the-mill predicable anime, but either way that doesn't take away the fact that Kobato is a great anime to watch. What made Kobato enjoyable to watch was the polar opposite dynamics of Ioryogi and Kobato. Where Kobato is kind, gracious, oblivious, sweet and benevolent; Ioryogi is short-tempered, practical, pragmatic but secretly very caring towards Kobato. Why I liked watching Kobato herself was mainly because of her integrity, constantly wanting to help other with no personal gain for herself; even though she conveniently has something to gain from helping others with the whole storyline between her and Ioryogi. It's kind of refreshing to see good people like Kobato portrayed in anime. Then there's Ioryogi, the counterpart to Kobato in the anime. Ioryogi provided comically relief to the anime. Not going to lie, even I had a few chuckles watching Kobato play the damsel in distress at times which most of the times got her in hot water by being subjected to verbal evisceration by Ioryogi. Another key character in Kobato is Kiyokazu Fujimoto. Kobato spends most of her time assisting children at a daycare in the anime, where Fujimoto works there as a student teacher. Fujimoto comes off as a very coldhearted person towards most people, Kobato in particular. Most of his alienation towards others is explained in the story. But if you've seen the anime, it's pretty sweet as you keep watching the anime seeing his iced out heart being thawed out by Kobato. If you know of CLAMP then you're probably familiar with Cardcaptors and Tsubasa Chronicle. 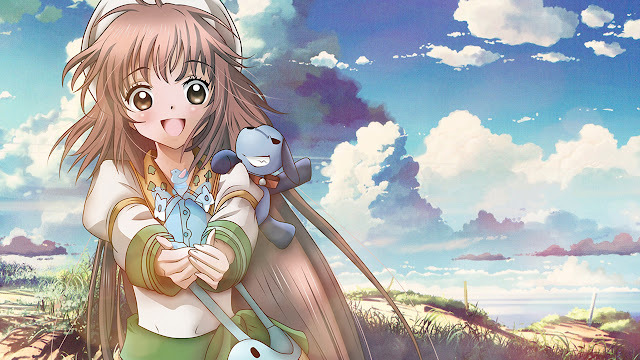 Since Kobato was created by CLAMP, if you like the art from their other popular anime, then you'll probably like the art in Kobato since it's somewhat similar to their other pieces of work. Kobato has it's quote "moe" moments/scenes throughout the anime, if you don't mind stuff like that you might like the animation. As for the music in Kobato, nothing really stood out. The OST was pretty... meh. Nothing spectacular. The sound is something you'd expect from some Disney fairytale: whimsical and magical- not my tastes but it works for Kobato. As per my personal tastes for Kobato, I found the anime to be quite awesome to the point where I'd place the anime in my top... 20 favourites ever. What I liked about Kobato was watching Kobato herself. I loved watching a selfless girl put herself out there to help others with needs and problems with no malicious intent or fiscal gain from being kind and helpful. I also loved watching Ioryogi, although it was repeated every single episode with the whole verbal hammering down on Kobato, I found him very funny with a subtle compassionate side to him that I liked seeing. I even enjoyed seeing Kiyokazu social phobic issues being....altered thanks to Kobato. If you haven't watched Kobato, I'd recommend you go and watch it! It's a great anime, with a main character that has the utmost kindest heart ever. If you've already seen Kobato, leave in the comments below your thoughts on the anime! Did you think CLAMP did a good job with this one? So anyways... thanks for reading! That's okay! Everyone has different tastes in anime. I really loved Kobato even though it was different from my usual fair. It was super sweet but I really liked watching the development of the people around Kobato. I know right? Different but sweet.